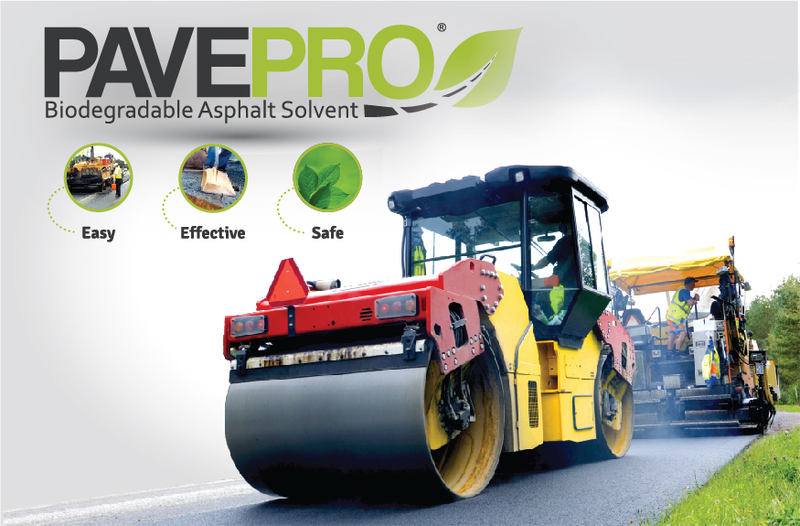 PavePro is effective, environmentally friendly and easy to use. It works better than diesel fuel at removing asphalt from equipment and stays on longer than competing citrus products to prevent asphalt build up. PavePro meets or exceeds all EPA and RCRA regulations. It requires no mixing; you can spray or dip your tools without generating any hazardous waste. Visit www.pavepro.com to Learn More!